Not every free agent waiting to be signed is an earth shattering, franchise changing player. The minor guys get picked up too. Like Amar’e Stoudemire, getting interest from the Houston Rockets, Dallas Mavericks, Los Angeles Clippers and Phoenix Suns. Stoudemire, a six-time All-Star and a one time first-team All-NBA selection, is far away from being a dominant or even meaningful force in the league. He’s a backup big these days, capable of playing 15 to 20 minutes a night and scoring quite a lot in those minutes, garbage time or not. His knees won’t allow him to hold up for more in a game, or for too many times during a season. Last year he was released by the New York Knicks and picked up by the Dallas Mavericks, playing 23 games for the Mavs and averaging 10.8 points in 16.5 minutes a night. His range is gone, taking most of his shots from within 10 feet of the basket and really living outside of the paint. He can’t move that well, shoot that well from so far away. There’s no specific role for Stoudemire to fill. His defense is negligible, his rebounding no longer a factor. All he can bring is points and some experience or maybe leadership, but it’s mostly about the easy points he can get without needing too many minutes. Pretty much every team in the league could use someone like him, but the Rockets, Mavericks, Clippers and Suns might be in more of a need to sign him and add some points off their bench. Obviously Stoudemire isn’t going to sign for a team he doesn’t think can take him to the playoffs, hopefully for more than one round. 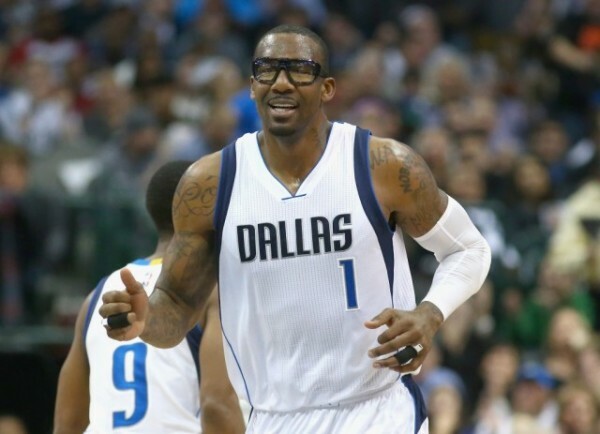 Stoudemire was slightly disappointed with how things worked out for him in Dallas. A return to Phoenix where he played his best basketball sounds like an interesting option. A return to New York? Not in this lifetime.